Vermont's two U.S. senators strongly rebuked President Donald Trump Tuesday night over his firing of FBI Director James Comey. The pair suggested that the move was motivated by a desire to stymie an investigation into alleged Russian meddling in the 2016 presidential election. "The president has removed the sitting FBI director in the midst of one of the most critical national security investigations in the history of our country — one that implicates senior officials in the Trump campaign and administration," Leahy, a longtime member and former chair of the Senate Judiciary Committee, said in a written statement. "This is nothing less than Nixonian." Sanders called Comey's firing "deeply troubling" and said it "raises serious questions about what his administration is hiding." "President Trump has repeatedly taken steps to kill inquiries into Russia's involvement in the U.S. election," Vermont's junior senator said in his own written statement. "It is clear that whomever President Trump handpicks to lead the FBI will not be able to objectively carry out this investigation." In a four-page letter to Comey released late Tuesday, Trump said he had accepted recommendations from Attorney General Jeff Sessions and Deputy Attorney General Rod Rosenstein to dismiss the FBI director. "While I greatly appreciate you informing me, on three separate occasions, that I am not under investigation, I nevertheless concur with the judgment of the Department of Justice that you are not able to effectively lead the Bureau," the president wrote. "It is essential that we find new leadership for the FBI that restores public trust and confidence in its vital law enforcement mission." In a separate letter released by the White House, Rosenstein said he had lost confidence in Comey over his handling of an investigation into 2016 Democratic presidential nominee Hillary Clinton's private email server. 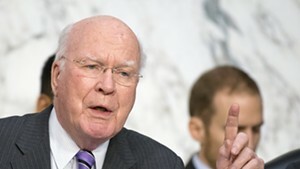 Leahy took exception to that argument. 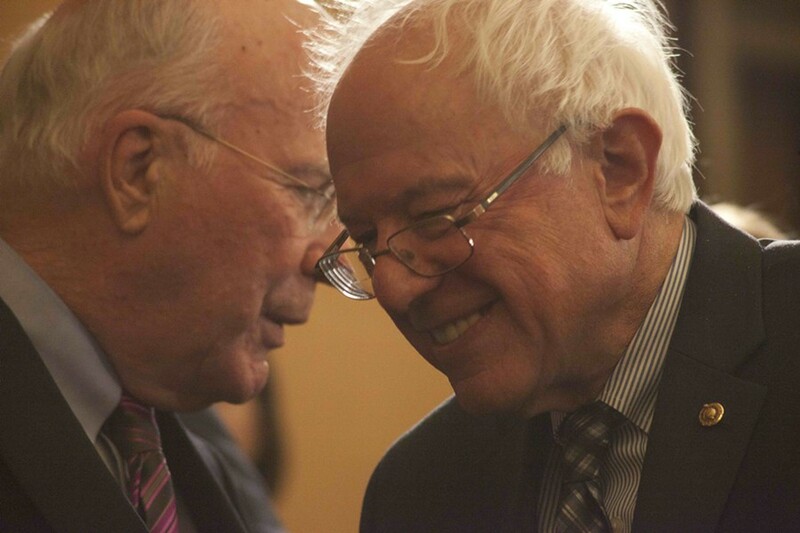 "No one should accept President Trump's absurd justification that he is now concerned that FBI Director Comey treated Secretary Clinton unfairly," Leahy wrote. "The president in fact celebrated the director's egregious mistakes in that investigation." Both senators said Comey's firing demonstrates the need for an independent investigation into Trump's alleged ties to Russia. "There simply is no avoiding the compelling fact that this cascading situation demands the prompt appointment of an independent special counsel to pick up the pieces of these investigations," Leahy wrote.